'Beyond Caravaggio', which opened last week at the National Gallery, is the first major exhibition in Britain to explore the work of Caravaggio through the prism of his influence on his contemporaries and followers. Although his painting career lasted less than 20 years, from the early 1590s until his untimely death in 1610, Michelangelo Merisi da Caravaggio revolutionised European art. His close observation of nature, dramatic lighting effects and powerful storytelling had a lasting impact on a generation of artists. Some of these artists knew Caravaggio personally; others saw his work at first-hand in Rome; and still more never travelled to Italy, absorbing Caravaggio’s lessons through other artists who brought his innovations back with them across Europe to France, Flanders and Holland. A collaboration between The National Gallery, London, the National Gallery of Ireland and the National Galleries of Scotland, 'Beyond Caravaggio' will tour to Dublin and Edinburgh in 2017. 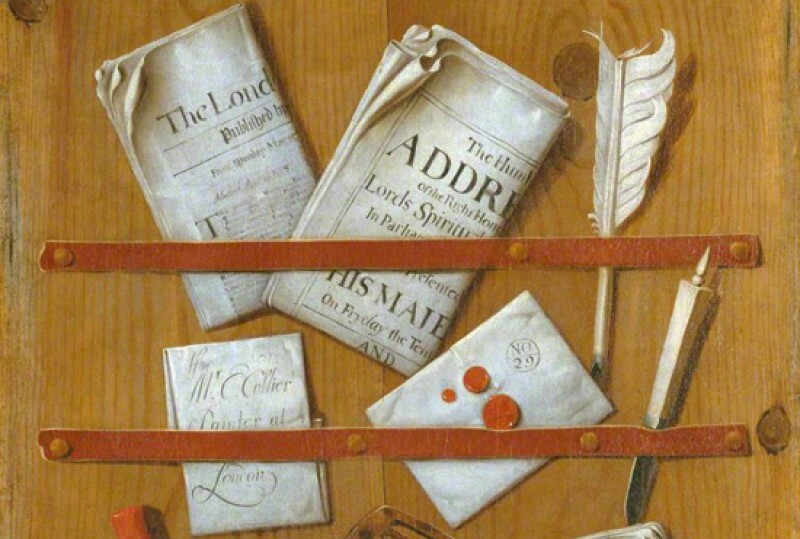 It is a testament to the strength of UK and Irish collections that the majority of the 49 paintings in the exhibition come from the British Isles. On loan from museums, stately homes, castles and private collections, they include little-known treasures that will be real discoveries for visitors, such as Lo Spadarino’s shockingly modern Christ Displaying His Wounds, Willem van der Vliet’s candlelight Philosopher and His Pupils and Georges de La Tour’s nocturnal Dice Players. Rather than moving chronologically or geographically, 'Beyond Caravaggio' follows the ripple effect of Caravaggio’s influence. The exhibition begins with Caravaggio’s early years in Rome and innovative paintings of young boys, cardsharps and fortune tellers for which he set the precedent. 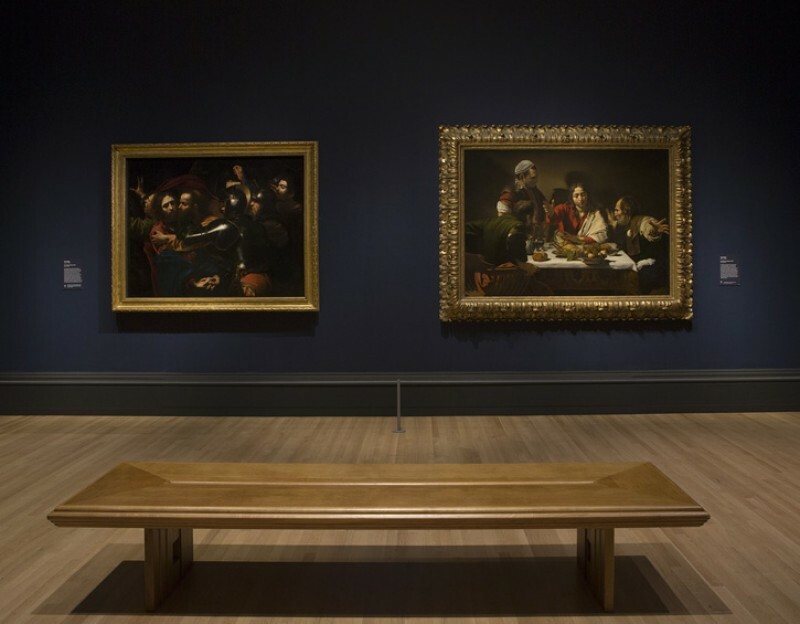 No one had painted such everyday subjects before, and this first part of the exhibition emphasises Caravaggio’s practice of painting dal naturale (from nature) and his beautiful still lifes. Caravaggio’s Boy Bitten by a Lizard (The National Gallery, London) hangs alongside two masterpieces by a far lesser known artist, Cecco del Caravaggio, who was described by contemporaries as Caravaggio’s model, companion and perhaps even his lover. Surrounded by gorgeously rendered still life objects, Cecco’s young men stare out at us with direct, almost provocative expressions. 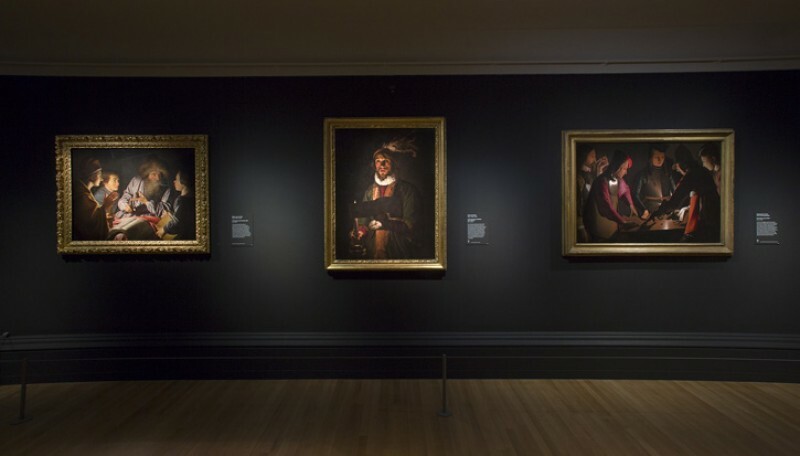 Works by Bartolomeo Manfredi and Georges de La Tour convey the enduring popularity of Caravaggio’s early subjects: La Tour’s The Cheat with the Ace of Clubs, an exceptional loan from the Kimbell Art Museum, was painted almost 40 years after Caravaggio first treated the subject of gaming and trickery. It was Caravaggio’s first public commission that brought him real recognition. From 1600, when his paintings for the Contarelli Chapel in the church of San Luigi dei Francesi, Rome, were unveiled, artists from across Europe flocked to see Caravaggio’s work. 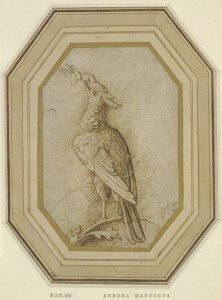 Distinguished patrons likewise sought to commission paintings for their private collections. One such collector was Ciriaco Mattei, for whom Caravaggio painted The Supper at Emmaus (The National Gallery, London) and the recently rediscovered The Taking of Christ (on indefinite loan to the National Gallery of Ireland from the Jesuit Community, Leeson St, Dublin), which are united here with two other paintings formerly in the Mattei collection. Turning towards Caravaggio’s immediate circle, we discover the first ‘Caravaggesque’ painting, Giovanni Baglione’s The Ecstasy of Saint Francis (The Art Institute of Chicago). Dated 1601, the naturalism of its figures and striking still life elements show how quickly Caravaggio’s influence was felt in Rome. Orazio Gentileschi, from whom Caravaggio is known to have borrowed studio props – a pair of wings and a Capuchin robe – is represented by two paintings which demonstrate the diverse ways in which Caravaggio’s influence was interpreted. His David and Goliath (The National Gallery of Ireland) is a highly charged painting: following Caravaggio, Orazio depicts his subjects at the most dramatic moment of their story, in a tightly cropped and strongly lit composition. By contrast, his Rest on the Flight from Egypt (Birmingham Museum and Art Gallery) is a masterpiece of gentle naturalism, from the tender gesture of the nursing Virgin, to Joseph’s exhausted slumber, and the beautiful fluffiness of the donkey’s head. Moving away from those artists who knew Caravaggio directly, we encounter works as diverse as Artemisia Gentileschi’s Susannah and the Elders (Burghley House collection) and Giovanni Francesco Guerrieri’s Lot and His Daughters Leaving Sodom (Manchester City Galleries), underlining again the many different ways in which Caravaggio’s lessons were interpreted. 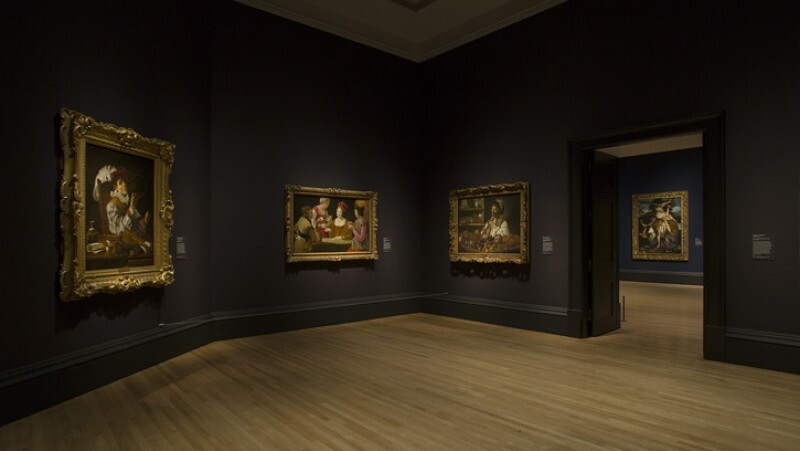 Nowhere in the exhibition is this more apparent than in the rooms dedicated to Caravaggio’s international followers – French, Flemish and Dutch artists, some of whom never saw Caravaggio’s works in person. Despite being associated with candlelight scenes, Caravaggio never painted a work with a candle in it, but his strong use of chiaroscuro (strongly contrasted lighting effects) went on to inspire a new genre of candlelight paintings. Gerrit van Honthorst, whose Christ before the High Priest (The National Gallery, London) towers over visitors in the final room of the exhibition, worked for some of the same patrons as Caravaggio in Rome and definitely knew his works, but other artists like Adam de Coster painted their candlelit figures in northern Europe. Although Matthias Stom spent much of his career in Italy, the fact that his intimate scene, Old Woman and a Boy by Candlelight (Birmingham Museum and Art Gallery) is on panel suggests that it was painted in the Netherlands, during the early part of his career. 'Beyond Caravaggio' will be at: The National Gallery, London from 12th October 2016 to 15th January 2017; The National Gallery of Ireland, Dublin from 11th February to 14th May 2017; The National Galleries of Scotland, Edinburgh from 17th June to 24th September 2017.